Leave central Barcelona by comfortable coach and travel through Lerida to Zaragoza to begin your 6-day tour of Spain. 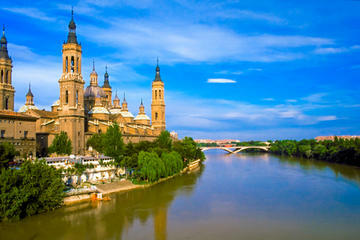 Have free time to see top Zaragoza sites such as the Basilica del Pilar, La Seo Cathedral and the Aljaferia Palace. Have lunch at a local restaurant (own expense) before continuing to Madrid. Enjoy a panoramic view of Madrid as you enter the beautiful city. Have free time for dinner (own expense) and explore more of the city on your own. After breakfast at your hotel, relax on the drive along the land of Don Quixote to Cordoba. Visit Cordoba's Old Town, a UNESCO World Heritage Site and the Jewish Quarter (Juderia), part of Cordoba's historic center. Your guide will lead you through its medieval streets, show you the gorgeous synagogue, and tell you about Cordoba’s Jewish history. After a break for lunch (own expense), head to the most famous landmark of the city – the Great Mosque of Cordoba. Look inside and admire the forest of columns and red and white arches. 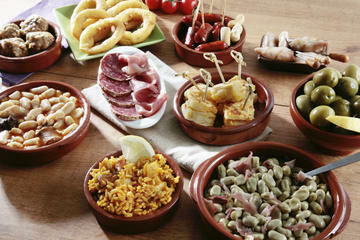 Then, board the coach for the drive to Seville, where you’ll enjoy a delicious dinner (included) and spend one night. Have breakfast at your hotel before spending the day in Seville, the capital of the Andalusia region and the cultural center of southern Spain. Go on a sightseeing tour and see Seville’s top attractions such as the Cathedral of St Mary, one of the largest Gothic cathedrals in the world. Then, take a guided walking tour and visit the Santa Cruz quarter, the former Jewish quarter with winding alleys and picturesque lime-washed houses. See the famous Alcazar, Seville’s magnificent royal palace and a UNESCO World Heritage Site. After a short lunch break (own expense), continue your tour around the Alcazar and to the beautiful Maria Luisa Park, home to the great Plaza de España. You’ll have the rest of the day to discover more of the city at your leisure. After dinner at a local restaurant (included), you have the option to go on a Flamenco tour to see a performance of Spain’s traditional Flamenco dance (own expense). Start the day with breakfast and leave Seville behind to continue to Granada. 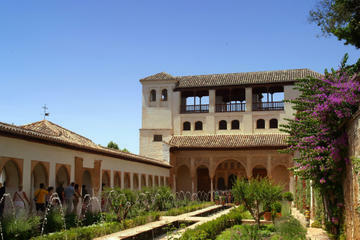 Enjoy a guided tour of the Alhambra Palace, a UNESCO World Heritage Site. Your guide will tell you the history behind the beautiful architecture and will point out the beautiful Moorish features. After a short break for lunch (own expense), visit the sumptuous adjacent Generalife Gardens, featuring interestingly shaped trees, gorgeous flowers and stunning fountains, perfect for a relaxing stroll. After dinner (included), you have the option to go on a gypsy night tour (own expense) to the Albaizyn quarter (the old Arabic quarter) with your guide. Or, simply discover more of Granada on your own and check out the local nightlife. 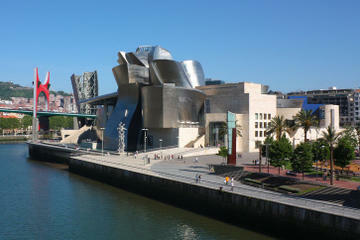 After breakfast at your hotel, continue your tour to Valencia. When you arrive, enjoy a panoramic sightseeing tour on the way to your hotel, and see the impressive City of Arts and Sciences. 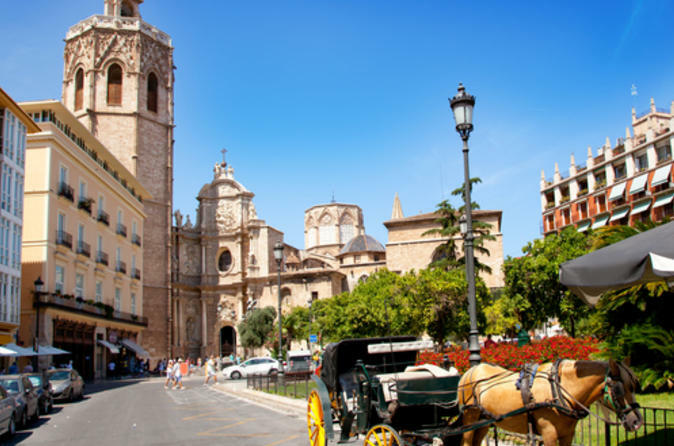 After lunch (own expense), join an optional walking tour (own expense) around Valencia's old quarter and visit the Silk Exchange and the Fallas Museum. For dinner (own expense), your guide will recommend the best local restaurants that offer paella, the traditional meat or seafood rice dish for which Valencia is famous. Have breakfast at your hotel and then enjoy free time to discover more of the enchanting corners of Valencia. At your leisure and expense, sunbathe at the beach; immerse yourself in Spanish history and culture at one of the various museums; or see sharks, dolphins and jellyfish at L'Oceanogràfic. 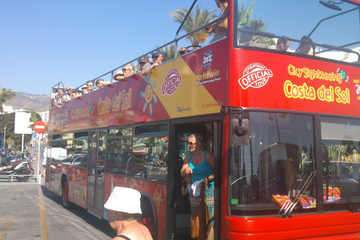 You can also choose to go on a guided sightseeing tour (additional cost). 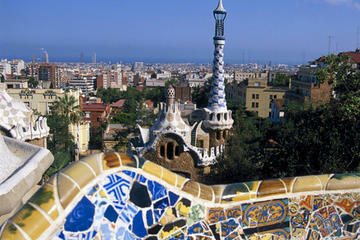 In the early afternoon, depart Valencia for Barcelona, where your 6-day tour will end. Note that hotels are subject to change. This tour is highly recommended. 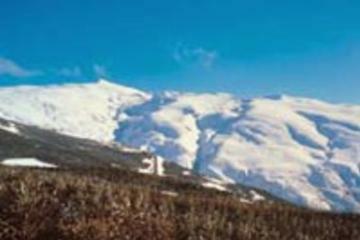 It is well organized by a local tour operator, Julia'travel. It is also worth while to upgrade to the superior hotel package. We have seen so much of Spain in 6 days , more so than my previous 2 visits to Spain. People might complain about the long bus rides, but to us that is the time to catch up with our sleep as We were so busy in the evening seeing all the cultures of Spain. Spanish people don't venture out until after 6 pm because of the heat. From the US, it is worth while to find a hotel near the pickup point on the first day. Use google maps, we found a hotel just about 5 minutes walk from the Julia' travel location near La Ramblas. All and all, I don't think we can travel that far all over Andalucia region in that short of time on our own. This is a very quick way to see Spain at reasonable costs. We loved the tour. Our only problem was the lack of information prior to the trip. We had difficulty getting the necessary; where we were meeting, and at what time are we meeting information from Julia Travel. In Barcelona,( when we called from Oregon), they would refer us to Madrid office of Julia travel, and then the Madrid office referred us back to Barcelona. We were fortunetly in Barcelona for 4 days prior to our tour, so it took us 2 days of directly communicating with the office in person to find out that we were suppose to meet the bus on sunday morning at 8:15 am. We did not receive an itinerary until we had arrived in Madrid. It leaves first time travelers in Spain a little apprehensive to say the least. I still do not understand why the Barcelona office could not have brought the itinerary information on their computers and delivered it to us? My sister and I took this tour at the beginning of August 2013 and we were both in general content with it. This package allowed us to visit a significant number of places in a very short timeframe and offered the convenience of having all travel and accommodation arranged for us for an affordable price. However, one can always nitpick on the details of the included services. One of the most important downsides was the rather mediocre English level of most of our tour and local guides in comparison to other guides we randomly bumped into later on. So, they remained somewhat laconic and distant. Moreover, the included city tours were superficial, some of them very short (Zaragoza 30 minutes on your own) and some comprised mainly glimpsing the buildings from the bus window (Seville). Optional city tours of Seville and Granada, and flamenco and zambra shows were offered for 30-40 euros each. We stayed in standard hotels and found them all acceptable and well located except that the service in Best Western Mayorazgo in Madrid was rather unwelcoming. When it comes to food, we couldn't emphasize it more, the included overpriced diner style dinners served in the hotel basement were a disgrace. Also, most of the lunch breaks on the road were in gas station diners while some of them could have been in the towns we visited. On a more positive note, our guide Josep accompanying us from Granada to Valencia and Barcelona was very helpful and gave us plenty of tips from Valencian delicacies to getting around town, visiting other sites in Spain and what not. All in all, I'd recommend it to those short of time or not adventurous enough to go around on your own.